Fiat's new engines in F1 Ferrari | What Car? Fiat has revealed that the clever technology behind its Multiair engines has been tried in a Formula One Ferrari. The test was part of the development schedule for the technology, but to also to see if it could eventually give Ferrari an advantage in F1. 'Multiair technology works best with turbocharged engines, so at this stage there is no benefit in using it in F1,' says Massimo Fulfaro, the Multiair product manager. 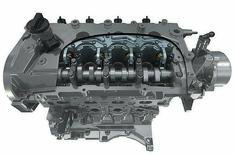 Multiair is an electro-hydraulic form of variable valve timing that helps improve performance and fuel consumption. In effect, it makes the engine act like human lungs, drawing in just the right amount of air (and fuel) it needs at any moment. Electro-magnetic and electro-mechanical systems from other manufacturers have promised similar things in the past, but Fulfaro claims they are either too costly or too slow in operation. 'This technology (Multiair) will become the standard for petrol engines,' he claims. It's currently available in 1.4-litre versions of the Fiat Punto Evo, and has just gone into the Alfa Romeo Mito. Fulfaro says that Fiat is currently developing a Multiair version of the Chrysler V6 engine (Fiat holds a 35% stake in the American company) and believes the technology will help diesels meet the tougher EU6 emissions standards due to come into force in 2014. 'Only with Multiair will you be able to meet EU6 levels at a lower cost,' he claims.